The safety of young moped and motorcycle riders is set to be debated at a special P2W (powered-two-wheelers) event in Birmingham on Wednesday 6 March. 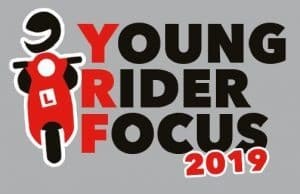 Road Safety GB and First Bike are hosting the Young Rider Focus conference to draw attention to the challenges young P2W riders face on UK roads in a bid to improve safety and reduce casualties. Industry professionals are invited to join the one-day event hosted at Aston Villa FC in Birmingham, on 6 March, for a series of speeches confronting the issues faced by young inexperienced riders, calling for positive action to support this group of road users. With the inclusion of P2W fleets into the FORS Standard version 5, FORS members attending can expect a lively debate on how safety practitioners can get ‘inside the mind’ of young riders, what bike and equipment manufacturers are doing to help improve safety, and how education training and publicity can help.